Varicose veins are an unsightly indication that a person’s legs aren’t quite as healthy as they used to be, says Marla Ahlgrimm., retired pharmacist. Women are more likely than men to get varicose veins or their smaller, less bulging cousin, spider veins. Here, the women’s health expert shares five facts women should know about this condition, which is often exacerbated by hormones. 1. Half of all women will develop varicose veins. 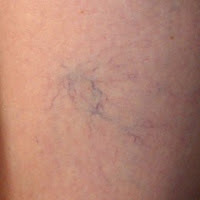 According to Marla Ahlgrimm, up to 55% of women in the US have varicose veins. That number jumps even higher in women over 50. 2. Varicose veins and spider veins are not the same thing. Though they are often considered synonymous with one another, these two conditions are not the same. Marla Ahlgrimm explains that spider veins are a usually harmless nuisance while varicose veins can be painful and are typically triggered by a combination of factors including age, obesity, a sedentary lifestyle, and hormone changes associated with pregnancy, puberty, and menopause. 3. Varicose veins are painful. Varicose veins may throb and feel worse after sitting for an extended period. They can also lead to a rash and heavy, restless, and discolored legs. 4. There are several types of medical professionals that may be involved with varicose vein treatment. There are no less than five different types of specialists that can diagnose and treat varicose veins. Marla Ahlgrimm explains that these are: phlebotomist, vascular medicine doctor, vascular surgeon, interventional radiologist, and dermatologist. 5. The most common treatment actually kills the vein. Marla Ahlgrimm says that sclerotherapy is not painful and can be performed at a doctor’s office. During the process, a doctor injects the site with a special chemical which causes the vein to first swell then seal shut. This effectively kills that vein. Though each problem vein may take several treatments, when combined with compression stockings, sclerotherapy is very effective and is typically preferred over more aggressive surgical interventions.